The first Vermont was a 74-gun warship laid down at the Boston Navy Yard in September 1818; finished about 1825; and kept on the stocks until finally launched in September 1848. Vermont, however, was not commissioned until 1862. During the Civil War, the ship sailed to Port Royal, S.C., where it served as an ordnance, hospital, receiving, and store ship. In 1864, the ship transferred to New York and remained there for the next 37 years, serving both as a store and receiving ship. 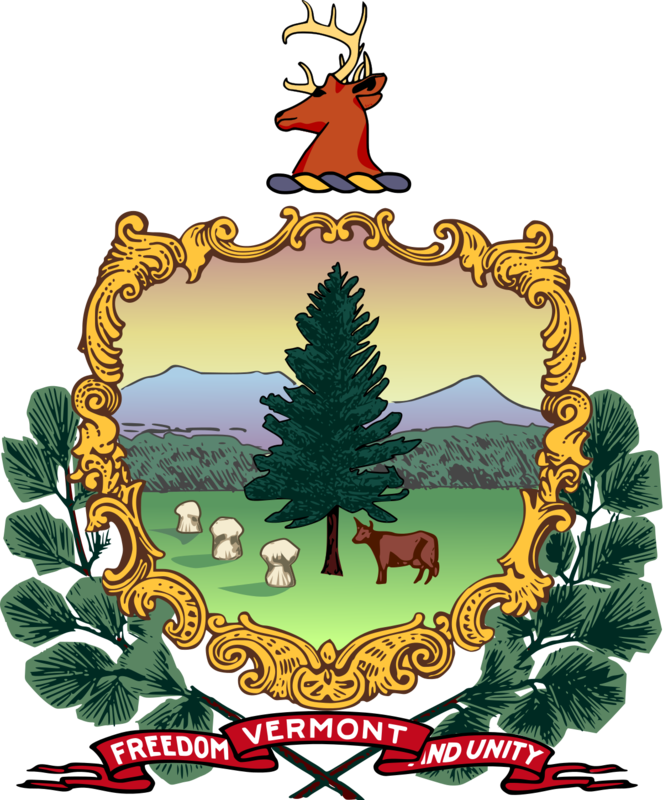 Vermont was struck from the Navy list in December 1901. The second Vermont (BB 20) was laid down May 21, 1904 at Quincy, Mass., by the Fore River Shipbuilding Co.; launched August 31, 1905; and commissioned at the Boston Navy Yard on March 4, 1907. Vermont was one of the 16 pre-dreadnought battleships in the “Great White Fleet,” standing out to sea December 16, 1904, from Hampton Roads under the gaze of President Theodore Roosevelt. The battleship visited ports in Chile, Peru, Mexico, California, Hawaii, New Zealand, Australia, the Philippines, Japan, China, and in the Mediterranean, before returning to Hampton Roads, again passing in review before President Roosevelt on Washington's Birthday in 1909. In February 1913, Vermont arrived at Vera Cruz, Mexico, and remained at that port into the spring, protecting American interests. Responding to renewed tension in Mexico, Vermont returned to Vera Cruz in April 1914. Fighting ensued when the ship’s landing force went ashore that same day, and two officers were later awarded Medals of Honor for their actions. For most of the nation’s involvement in World War I, Vermont performed duty as an engineering training ship in the Chesapeake Bay region. The ship was subsequently converted to a troop transport, and sailed from Norfolk in January 1919 on the first of four round-trip voyages, returning some 5,000 troops back to the United States. The battleship was decommissioned at Mare Island Navy Yard in June 1920 and struck from the Navy list in November 1923. Vermont is the 19th submarine of the Virginia Class. Along with the other ships of the class, it represents a revolution in submarine design, construction and mission capability. This versatile and powerful vessel will maximize the contribution the U.S. Submarine Force makes to national security. Vermont and the Virginia Class are among the most effective platforms in the U.S. Navy portfolio. Unobtrusive, non-provocative and connected with land, air, sea and space-based assets, these submarines are equipped to wage multi-dimensional warfare around the globe. The central characteristic of the class is the modularity derived from the design / build approach, which supports efficient construction and mission capability. This provides the U.S. Navy with a submarine class that advances the state-of-the-art with each succeeding ship. Vermont’s adaptability makes it highly responsive to changing mission requirements. Electric Boat, its construction partner Newport News Shipbuilding, and the U.S. Navy continue collaborating to reduce the cost of future ships while introducing new capabilities to ensure the ongoing relevance of Vermont and the Virginia Class. Our goal remains unchanged – to produce the most sophisticated undersea warships in the world for the U.S. Navy. Vermont will provide the submarine force with the capabilities required to dominate the open ocean and the littorals. In addition to anti-submarine, anti-surface ship and counter-mine warfare, Vermont will support surveillance, Special Operations and covert strike missions. Looking ahead, Electric Boat will continue to develop and refine innovative processes to reduce the cost of future ships while introducing new capabilities that will ensure the relevance of Vermont and the Virginia Class well into the future.